Climate change and environmental degradation may have emerged as the most debated issues in contemporary times but veteran film director Shyam Benegal rues that Indians are not taking these seriously because “it is not in our consciousness”. He also believes it is a difficult subject to deal with using the film medium — unless one has “a technique, or a strategy” for not only appropriately handling the content but also recovering the money invested. “The most important thing is to keep it in your consciousness so that we know the effect of climate change on us and therefore we act accordingly. We are not taking climate change seriously because it is not in our consciousness,” Benegal, 82, said in an interview. “When we are talking about climate change, one of the first things is my memories of winter in Delhi. I remember the time when it was serene and unpolluted. Yes, we always had fog and mist and all similar things and it obviously went on for two-and-a-half or three months. But because of so much of pollution and smoke, it is no longer fog. We are literally breathing smog here,” the veteran director regretted. 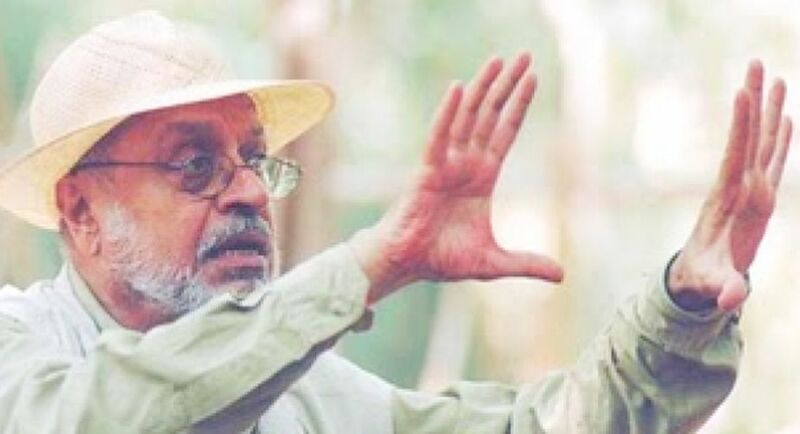 Benegal was awarded the Padma Shri in 1976 and the Padma Bhushan in 1991 and also the highest award in Indian cinema for lifetime achievement, the Dadasaheb Phalke Award, in 2005. He has won the National Film Award for Best Feature Film in Hindi seven times. He was in Delhi to inaugurate “Habitat Photosphere”, a photography exhibition based on the theme of sustainable development last week. “Climate change is something that needs to be explained in great detail. It is not something that can be conveyed very easily. It is a gradual process, but the understanding of that process is very important. I think it is very important to look at the environment in which you live and how situations become worse with every passing year,” he said. “That is what has changed in a terrible way. It does harm to your health, the environment, nature, trees, birds and everything that you see around begin to be affected. Those are the things that we should be talking about. We have to concern ourselves with how we treat nature, which is where our concern has not been properly developed,” he said. “On one side we want growth, development, we want to help our people and so on and so forth, but the consequences of that must also be taken into consideration. A balance between both is the need of the hour. Industrialisation helps in bettering the lives of the people but it also does damage to the environment. It is really the question of finding that balance which is what we should concern ourselves with,” the director said. In this context, Benegal said that he was “very happy” to read Amitav Ghosh’s recent book, “The Great Derangement”, describing it as “a marvellous book by one of our finest authors” that does full justice to the issue of climate change. In cinema, however, it is different, he said. “When you are writing a book, you can just sit and write. I mean you are spending money, but you are not spending it in the way and (in the) amount that is invested in cinema. Now when you spend so much in making a film, there is also a question of recovering that money. You cannot just spend money. “When we think of bringing the issue of climate change on-screen, the problem is how are we going to recover that amount. Unless there is a means, or you have a technique, or a strategy — both in the manner in which you deal with the content and the attraction that it might have for the audience — it is not possible,” he rued. Benegal also said that all states “do fund movies to bring the issue to the forefront” but “I don’t think they are doing enough”.